Over 23 Years on The Drive! Have you been waxing, tweezing, shaving, sugaring or using depilatories hoping that those methods would diminish your hair growth problems? 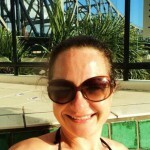 Have you just had a baby or are you going through menopause? Are you going through a transition in your life to truly become the best you that you can be? Are you ready to be free of the daily rituals that have become necessary to stay hair free? While it’s true that many people have unwanted hair on their face, legs, arms and other parts of their body that affects how they feel about themselves, it doesn’t have to be this way. At Angelina’s Electrolysis Studio we utilize just the right combination of Laser and Electrolysis to achieve permanent hair removal – not just a temporary fix! Angelina loves what she does and takes her client’s needs and concerns very seriously. She welcomes you with all the care and compassion, understanding and respect that you deserve. Please be assured that with Angelina you will be in very competent hands! Angelina is THE BEST!! She's changed my life in the most amazing of ways. She's delightful, and professional, and made me feel so very comfortable. I would recommend her to anyone. Thank you Angelina!! Find us near the Broadway Skytrain Station on Commercial Drive! 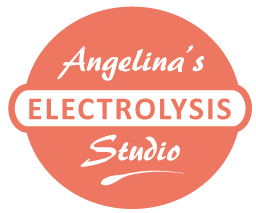 © 2019 Angelina’s Electrolysis Studio. All Rights Reserved. Site by Winterglow.